You will be crazy for this if you are Andy Warhol, Bape and Medicom Toy fans. 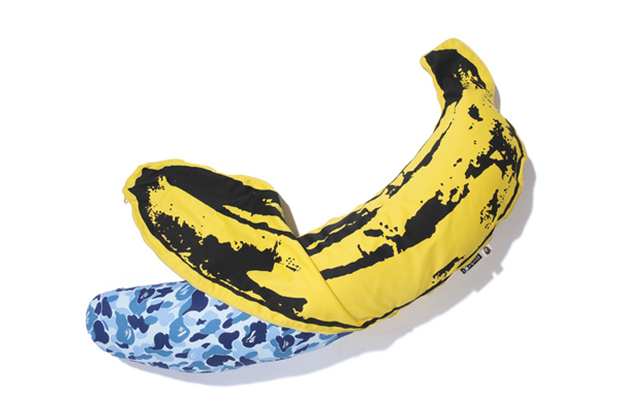 BAPE CAMO BANANA pillow with a bright color casing covering over a pillow designed with the iconic ABC Camo patterns of green, blue or pink. Definitely gonna get one if you are looking for something new or a clever lifestyle products.